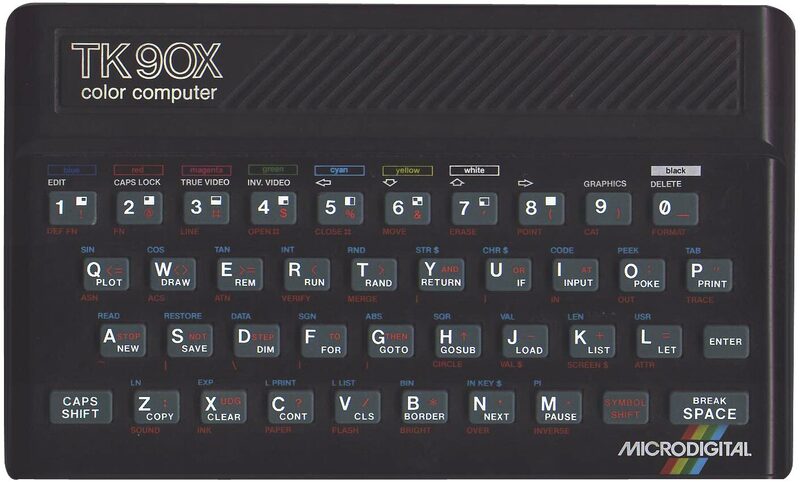 Weak intellectual property laws and expensive imports of the real Sinclair machines prompted a number of companies in Brazil and Argentina to produce clones of the Sinclair ZX and Timex computers. The South Americans appear to have produced a wider range of clones than most. However, unlike their Russian counterparts the South American Sinclair clones were usually unadventurous copies of the European and North American originals, a few possessing a joystick interface or extra memory but with little else in the way of innovation. Copying computers appears to have become something of an industry in Brazil: the main manufacturers of Sinclair clones in that country, Prológica and Microdigital, also produced clones of a variety of other popular computers such as the Apple II and TRS-80, as did other Brazilian computer manufacturers. Peripherals from Sinclair and third parties were also copied - Microdigital, for example, produced a virtually identical clone of Sinclair's ZX Printer, while another manufacturer produced a slimmed-down copy of MGT's Disciple disk drive interface, under the somewhat unoriginal name of Disciplus. Some of the South American computer manufacturers had diversified from fairly unlikely origins: Czerweny Electronica of Argentina, for instance, had previously specialised in making the motors for ceiling fans. 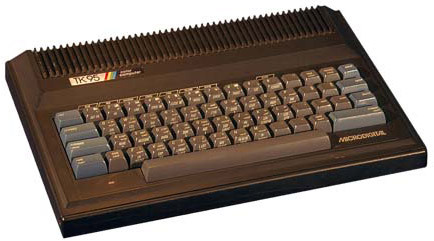 The South American Sinclair clones eventually died out by the late 1980s, displaced by the more advanced Japanese MSX computers. Clone of the ZX80 from Nova Electrônica/Prológica of Brazil, with near-identical hardware: 3.25 MHz Z80A CPU, 4Kb ROM, 1Kb RAM. A fairly close copy of the ZX80, albeit looking very similar to a ZX81. Has 4Kb ROM and 2Kb RAM (expandable to 16Kb). Produced by Microdigital of Brazil. As above, but with 8Kb ROM. Modified ZX81 clone made by CDSE (Centro de Desenvolvimento de Systemas Electrônicos) of Brazil. Has the usual 3.25 MHz Z80A CPU, 8Kb ROM and 16Kb RAM, but can be expanded up to 48Kb RAM. ZX81 clone produced by Engebras of Brazil. No other information available. ZX81 clone in a long wedge-shaped case. Internally a close copy, with a 3.25 MHz Z80A CPU, 8Kb ROM and 16Kb RAM. Produced by Prológica of Brazil. Clone of the ZX81 from Czerweny Electronica of Argentina. No other information available. ZX81 clone produced by Nova Electrônica/Prológica of Brazil. Has 2Kb RAM and 8Kb ROM. 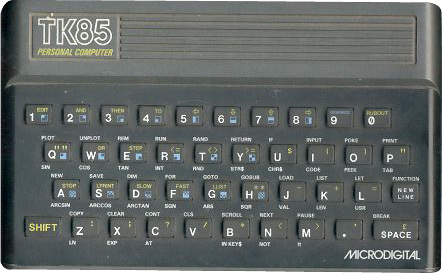 Based on the 16Kb ZX81, with a 3.25Mhz Z80A CPU and 8Kb ROM, housed in a much larger case with a push-button keyboard. Not wholly compatible with the real ZX81. Produced by Ritas do Brasil. Close copy of the ZX81 in a similar case. Has a built-in joystick port, 8Kb ROM and 2Kb RAM (expandable to 64Kb). Produced by Microdigital of Brazil. Clone of the TS 1500 from Czerweny Electronica of Argentina. No other information available. Although it looks very much like a Spectrum, this machine is in fact a copy of the (ZX81-based) TS 1500. It has a built-in joystick port, 10Kb ROM and 16Kb RAM. The machine was reportedly very popular. Produced by Microdigital of Brazil. Clone of the ZX Spectrum from Czerweny Electronica of Argentina. No other information available. Similar to the CZ 2000, but with two joystick ports. No other information available. Essentially a CZ 2000 in a Spectrum+ case. No other information available. A fairly straight copy of the Spectrum, housed in a virtually identical case. Has a built-in joystick port. The video circuitry and ROM have been significantly altered - there is no "dot crawl", no NMI error, two extra commands (TRACE and UDG) and all the messages are in Portuguese. This caused a number of compatibility problems. Produced by Microdigital of Brazil. A further development of the TK95, with a greater degree of Spectrum compatibility and a better keyboard. Produced by Microdigital of Brazil.